As the JM has advanced, the Regional Secretariat for Infrastructures and Equipment (SREI) admits that the contract signed with Somague for the construction of the new school in Ribeira Brava will end. 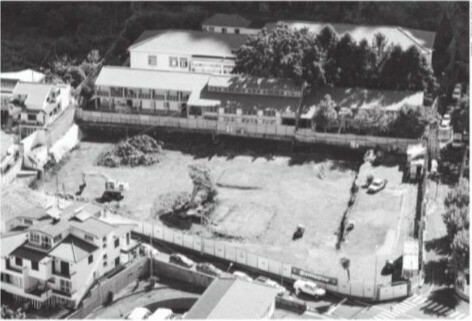 In today’s printed edition, it is said that the protection of Amílcar Gonçalves was accompanying with concern the construction works of the Primary and Secondary School Padre Manuel Álvares, in Ribeira Brava, after our newspaper had verified ‘in loco’ the presence of many few workers in the place and based on the fact that the company entered into non-compliance in the remodeling works of the Hotel Alto Lido that ended up being executed by several companies contacted daily by the developer under the coordination and management of the work in charge of the Consulgal. Yesterday, the regional secretary confirmed the existence of a mismatch in relation to the schedule of the future school infrastructure and admitted the possibility of terminating a contract with the company, owned by the Spanish multinational Sacyr de 2004.